The brand identifies itself by its use of top quality materials such as leather and wood. This case is a classic companion.INTELLIGENT STYLE: your phone sits shockproof in the tough hard case of this Book Style Case. The flap pocket also protects the screen of your mobile phone. kalibri GOES CLASSIC: The Genuine Leather Wallet Style Case for your Sony Xperia L1 combines soft leather with practical features to protect your smartphone and make your life easier. This case is a timeless companion. 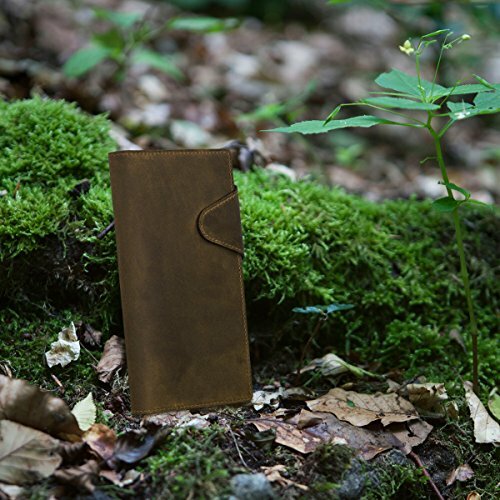 INTELLIGENT DESIGN: your phone sits shockproof in the sturdy hard case of this Book Style Case. All buttons remain freely accessible. The flap pocket also protects the screen of your smartphone. A card slot and an additional inner pocket provide space for credit cards, cash and notes. 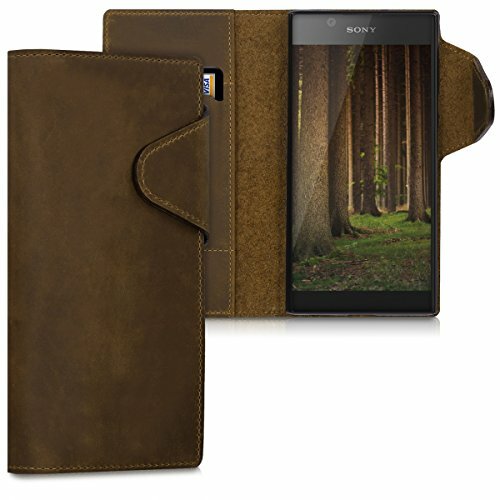 UNIQUE OPTICS: the leather of this smartphone cover for the Sony Xperia L1 is a real eye-turner and it develops over the time a unique patina. Since it is a natural product, the shades can slightly differ. 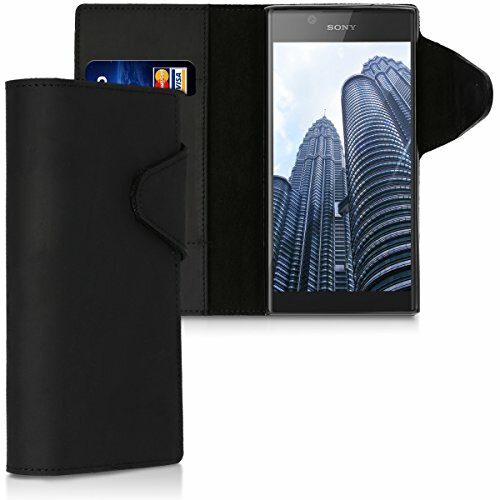 FLAPTASTIC: The Flip Case for Sony Xperia L1 from kalibri is smartly designed and thanks to the stand function it offers a carefree multimedia experience. WE ARE ALWAYS THERE FOR YOU: When you buy a kalibri product you also benefit from the help and assistance of our customer care service.